Mistakes. We’ve all made them. And in video content production, the ways they could happen are numerous. In the 15 years that we’ve worked in video content production, we’ve seen it all: from the good, to the bad, to the downright strange. Whether it’s a technology failure, a routine blunder or a mindless bout of forgetfulness, there is always something to learn from for next time. 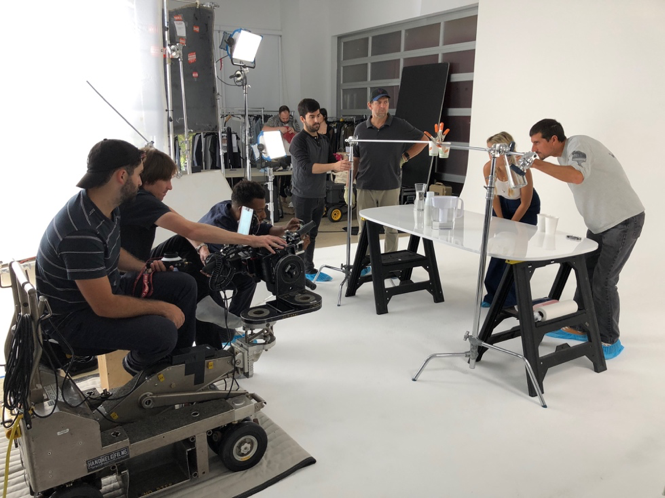 In this blog, we’d like to walk you through some common mistakes that occur on a production set, and how you can go about doing your best to prevent them from happening to you! As a video content production company that relies heavily on working with data, perhaps the most tragic occurrence that could happen would be losing what you just filmed. Even if you think you have everything in place and saved, back it up again because technical issues can sprout up when you least expect them to. 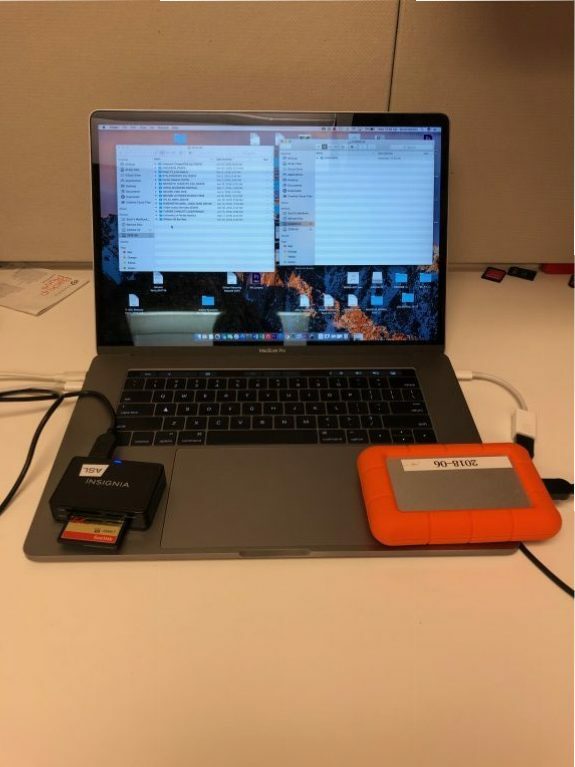 Keeping a keen eye on your media cards and constantly backing up your data is crucial, especially when working with large files. Double checking is everything! After you’ve finished transferring the media, check to see the amount of footage recorded and make sure the file sizes match what was put onto the drive (For example if 45.4GB was used on the card that day, check that all 45.4GB was uploaded onto the hard drive). Another way to ensure accurate data is to spot check clips, by viewing clips at various points throughout to make sure the files haven’t been corrupted. Doing this as early as possible (many times while on set) is better than finding out later on! At the end of every video shoot, we’ve made a habit out of having our DIT loading the fresh footage and audio while on set and verifying it’s all been transferred before we leave for the day. When we get back to the office, we make an additional backup or even two (!) on our hard drives. On lower budget productions, many companies tend to opt for a “one-man band” solution. In essence, what is usually done by a production crew of 3 or 4 is asked to be done by 1 super hero. Needless to say, this can lead to a variety of issues. With so much for a camera op to pay attention too, lighting, interview subject eye-line, focus and depth of field, audio can often be overlooked by the videographer. Additionally, sometimes clients will throw curveballs, such as asking for the lavalier microphone to be hidden from view. A legitimate audio operator should have tools in their bag such as moleskin, which can help prevent the mic from rubbing against clothing. A dedicated audio op will also catch if there’s any background noise or issues that could ruin a soundbite and ask the subject to repeat their statement. Lastly, dedicated audio ops will be focused on proper mic placement and they tend to have higher end equipment, getting you the fullest recording and a noticeable difference in quality. You get what you pay for, and paying for a professional audio op goes a long way. Production Assistants have the most fluctuating job on the set. Unlike camera or audio ops who are solely responsible for one aspect of production, the PA’s job is changing every minute of the shoot. Whether it’s parking vehicles, transporting gear, taping down wires, or setting up lighting, the PA must be on his or her toes ready to jump in and aid any and every member of the production crew. Now here’s the tricky part, sometimes, while shooting, there is no obvious job for the PA. What that often leads to is the PA slouching off to a corner, tapping away on their cellphone, and looking like a bored person acting bored. RED FLAG! While the crew may recognize that the PA is not needed for this particular scene/shot, the agency or third party does not. What they see is their dollars going away to an idle, unprofessional crew member! A good PA is mindful of their environment, constantly making sure that sandbags are holding down your stands and that people are quiet on and around the set. They are attentive, close by and at the ready to help should they be called upon. Having a production assistant that is aware of their surroundings and expectations is the perfect way to ensure a smooth day of production. PAs can be incredibly helpful when you need an assist and they’re on their toes and not their cell phones! It can’t be stressed enough how important punctuality is in the video content production business. 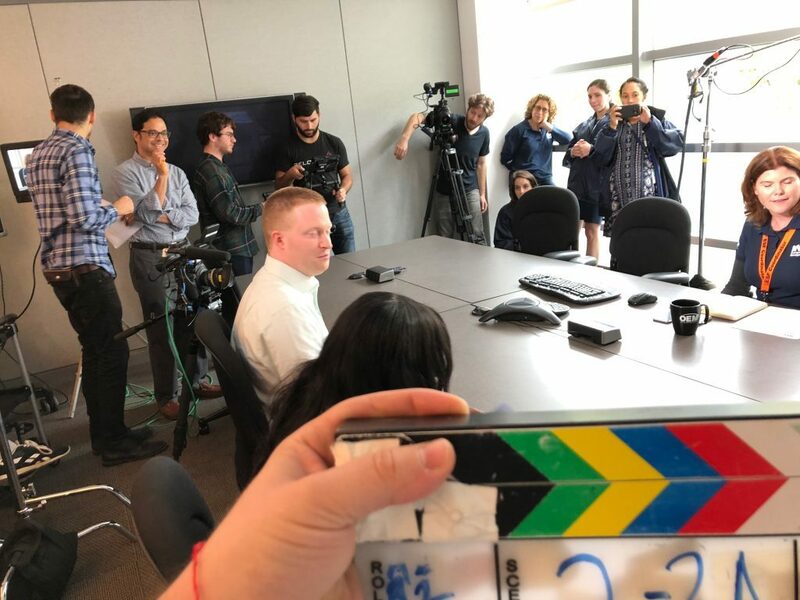 NYC video production (and beyond) is a busy world of deadlines, rental pick-ups/drop-offs, and wrap times all revolving around the crew and clients’ already jammed schedules. Sometimes, things happen, and we understand that. Trains run late and unexpected circumstances arise, but being late on repeated instances can have its long-term consequences. The client will not only be disgruntled on production day, but will also be less likely to give your team the call on future projects. When planning our shoot days out, we typically aim our arrival at 30 minutes ahead of the scheduled call time to account for unanticipated delays. Working as a video production company in New York City, we’re faced with so many variables that can influence our punctuality. Planning ahead and being aware of issues such as traffic, parking, tolls, weather, etc. can mitigate our pressure on the day of shoot. If there’s one grand sweeping thread that ties all of these issues together, it’s definitely got to be communication. In any business, whether it’s cake decorating or lifeguarding, communication is the essence of avoiding catastrophe. With video content production, it’s no different. If you need your files backed-up, communicate that in person or via email. If your crew is distracted, tell them to sharpen up. If you’re late, send a text, call, or email to the client and crew. It’s that simple. Video content production is a fast-paced business with many variables and moving parts, so mistakes will most certainly be made. In our first 15 years, we have encountered issues big and small on projects. Common and unforeseen events may take place that can throw everyone involved for a loop. Without a doubt, the next 15 years of productions will continue to bring new speed bumps and hiccups that will teach us something new. No matter what, it’s paramount as a content production team to be well-organized and prepared to tackle these issues, so that we can get back up to the plate and swing for the fences next time around.